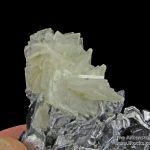 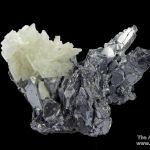 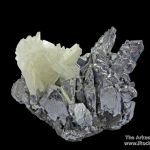 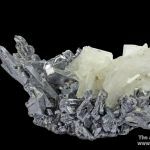 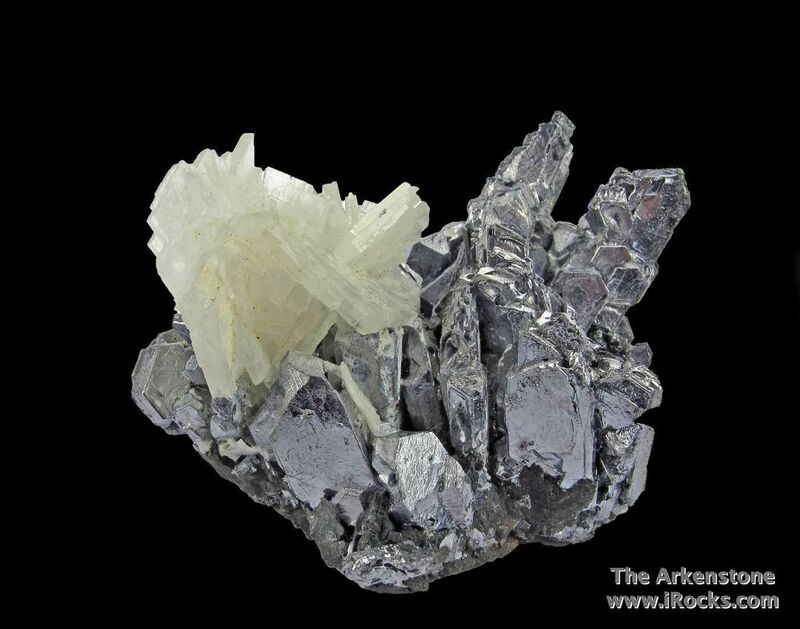 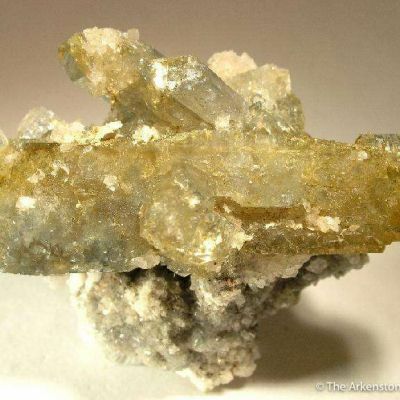 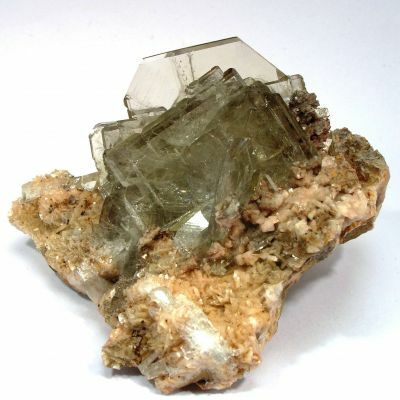 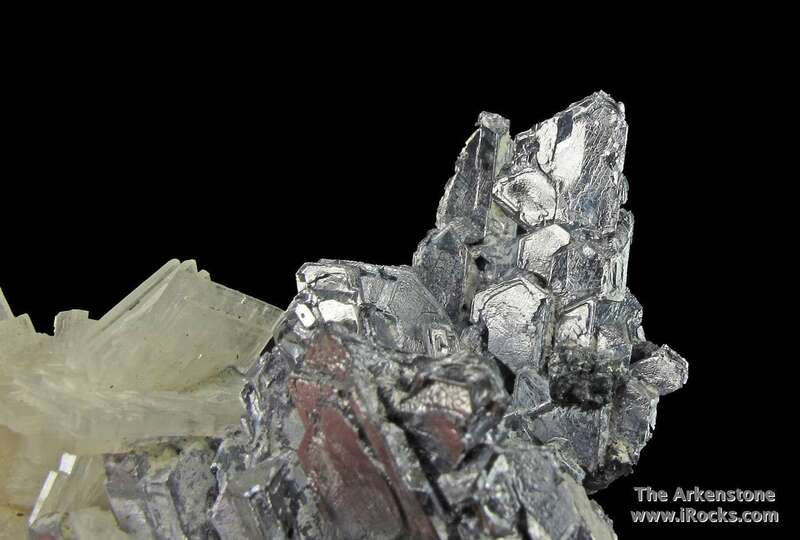 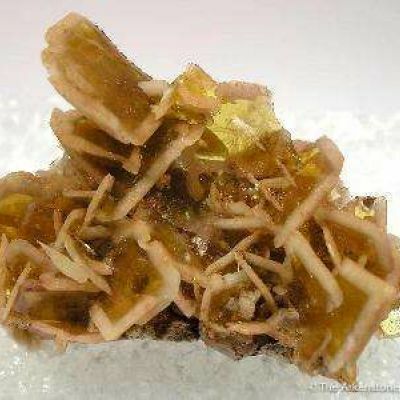 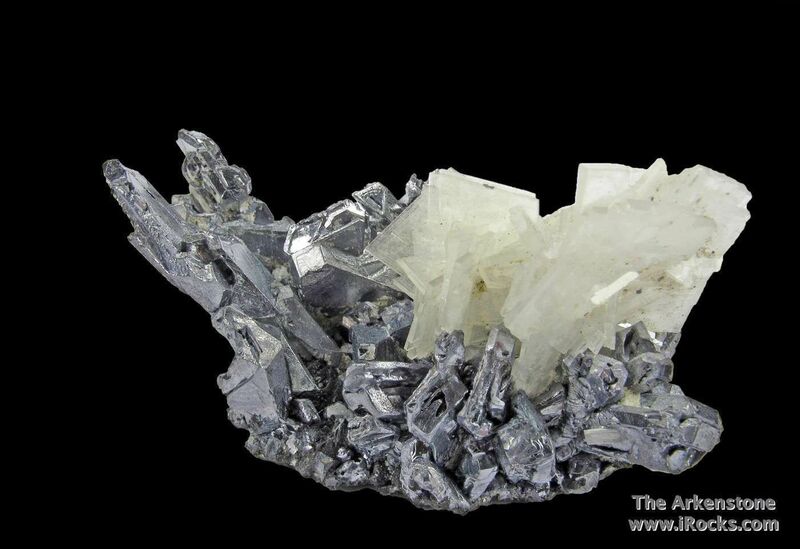 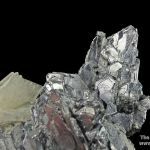 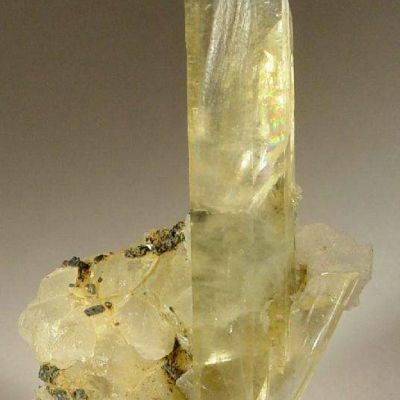 Nice combination of splendent, metallic, silvery Galena crystals with sharp, tabular Baryte crystals. 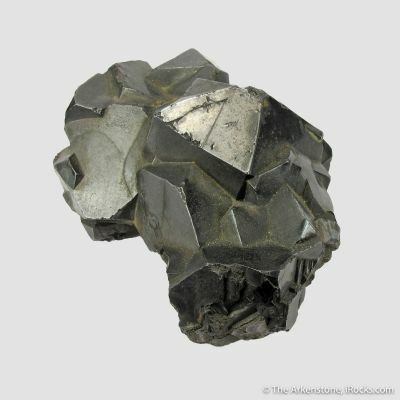 The Galenas are hexagonal and tabular, with some being equant and other elongated. 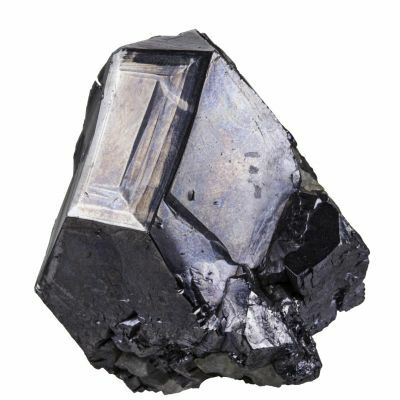 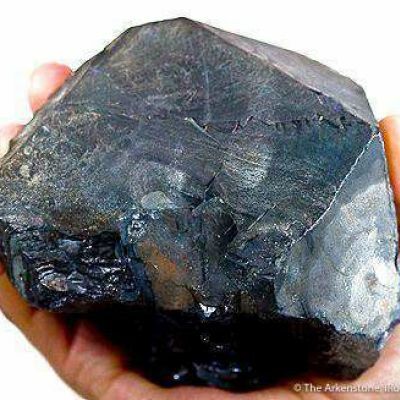 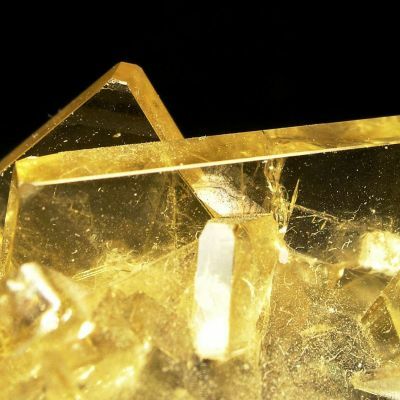 There are two parallel crystals that extend over 2 cm above the rest of the specimen, and these appear to be Spinel Twins, which certainly adds to the interest and desirability of the piece. 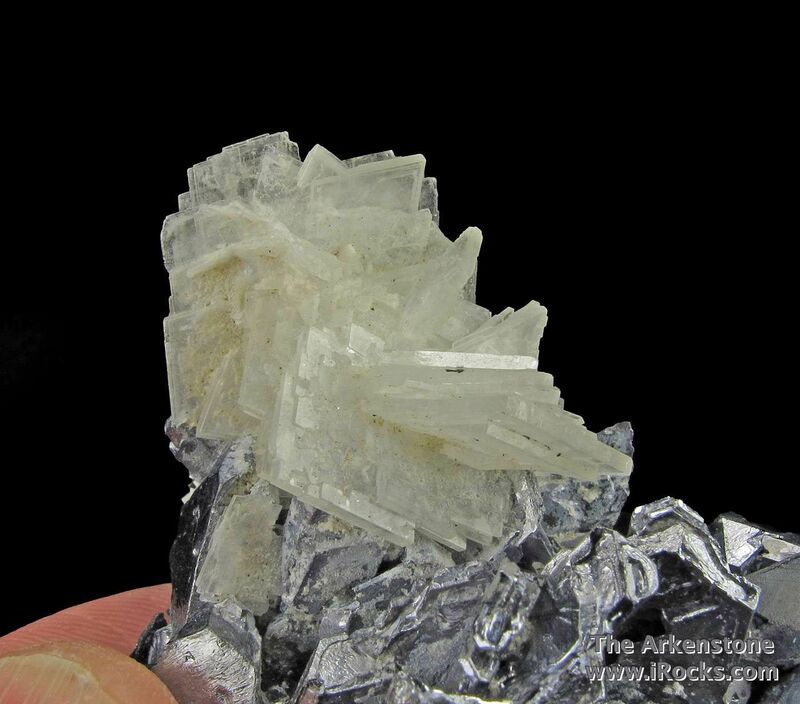 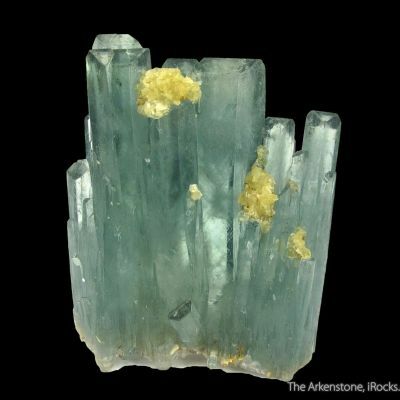 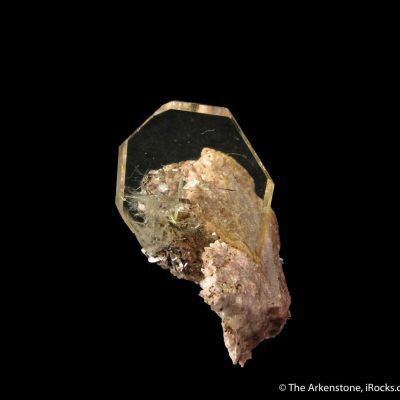 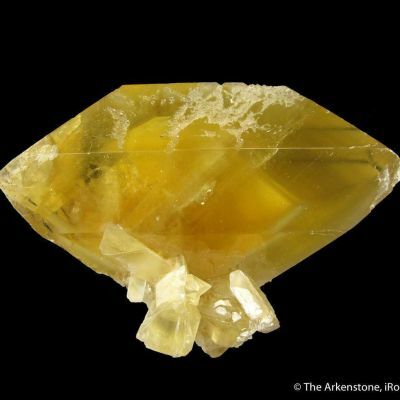 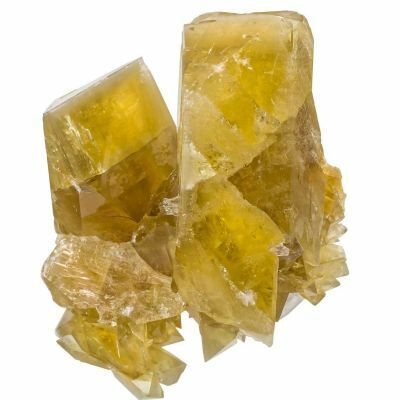 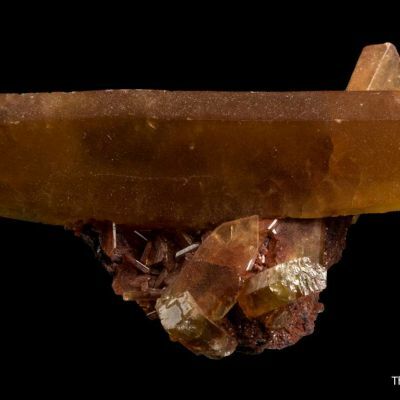 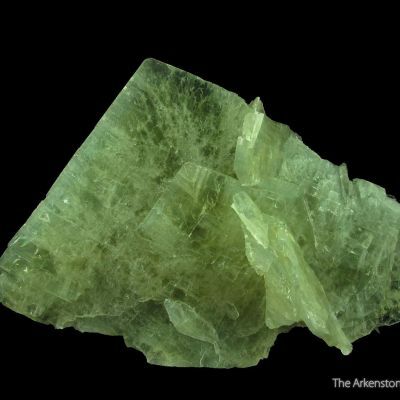 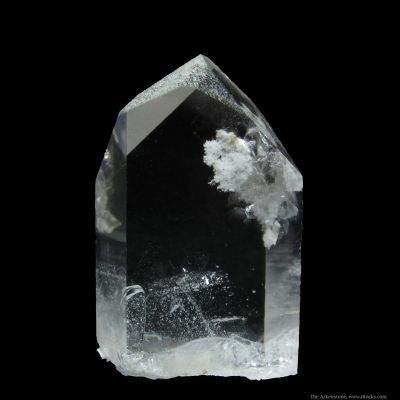 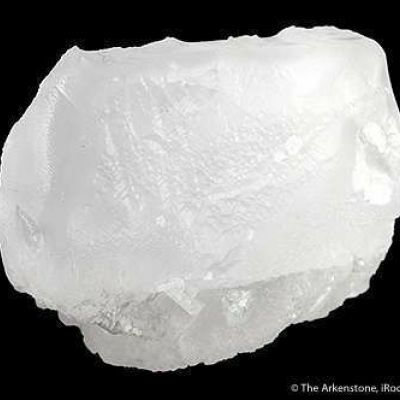 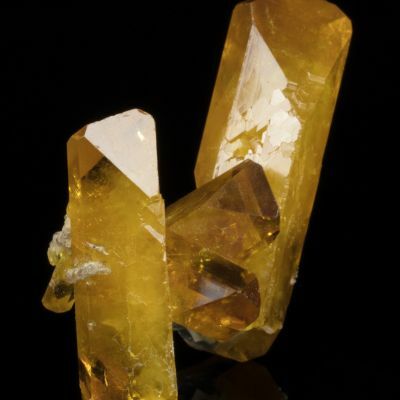 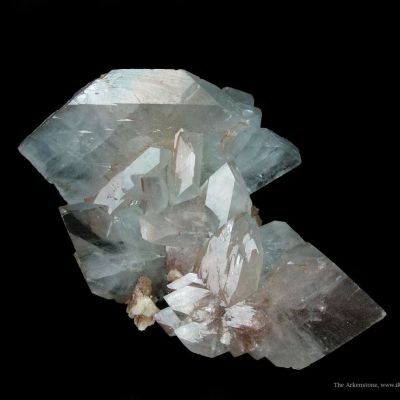 The white to clear Baryte blades are translucent to gemmy, and reach up to 1.8 cm across. 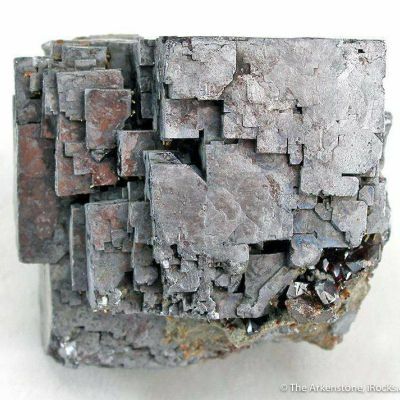 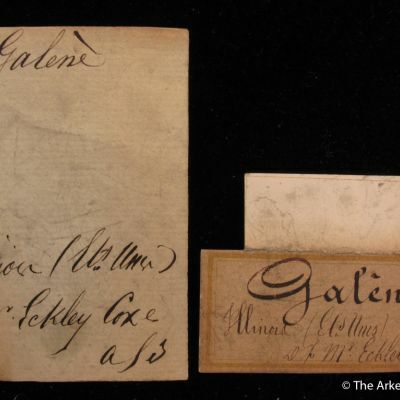 This is a good small cabinet specimen from a noted locale. 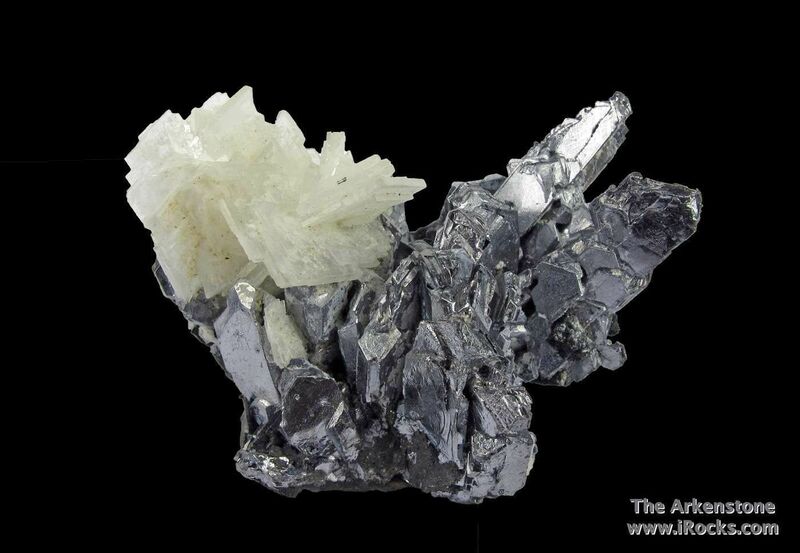 Art had an extensive Peruvian suite!